This electrical course London focuses on the Building Regulations in relation to electrical installations in dwellings. Each section has been designed to ensure that learners fully understand, and are able to comply with, each aspect of the Building Regulations in working contracts. As this course is recognised, those who successfully pass this course will be able to apply to one of the five main competent person accreditation schemes. This electrical course in London is a City and Guilds course and finishes with a multiple choice online examination consisting of 20 questions. All successful candidates will be awarded a City and Guilds 2393-10 Building Regulations for Electrical Installations in Dwellings certificate and a certificate of attendance from PASS. Learners who fail the exam will only receive a certificate of attendance from PASS. This City & Guilds 2393 course is one day long. This one day Building Regulations training course is most suitable for established electricians already working in the industry. Candidates who pass the City and Guilds Building Regulations training successfully, will be able to continue onto the following City and Guilds qualifications. All learners completing this course should have a working knowledge of domestic electrical installations and ideally hold a City and Guilds 2360 Part one, a 2330 level two or an equivalent qualification. If not, the Part P course may be a better choice. It is ideal for any electrician who needs further training on the Building Regulations for Electrical Installations in a London based location. 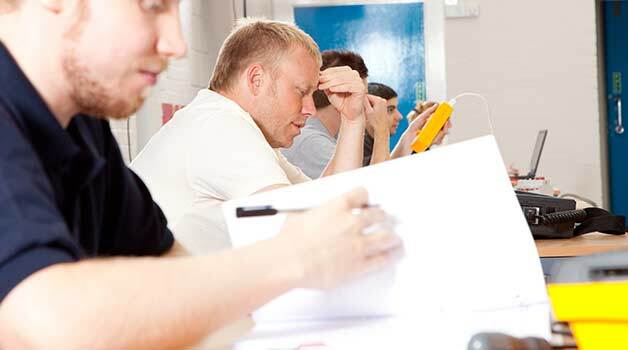 All the topics covered in this electrical training London course aim to help further the learners understanding of the Building Regulations and be able to successfully comply with them in their working environment in relation to domestic installations. If you are an electrician who would benefit from this Building Regulations training course, select one of the tabs below for further information.